This Lemon Cream Cheese braid is ready in under 30 minutes! 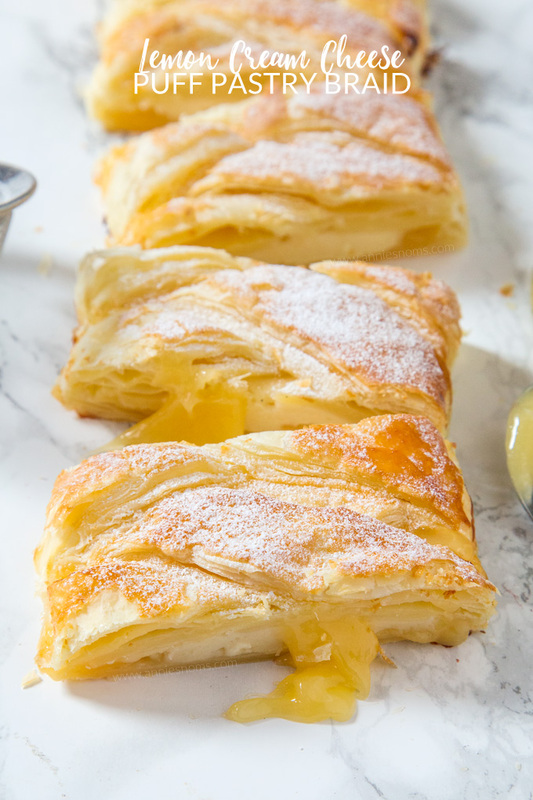 Flaky pastry filled with lemon curd and cream cheese to create a sweet, yet tart dessert everyone will love! Happy March friends! Can you believe it’s the third month of 2017 already?! I’m well and truly into baking with lighter Spring flavours now, even though it’s not technically Spring for another few weeks. 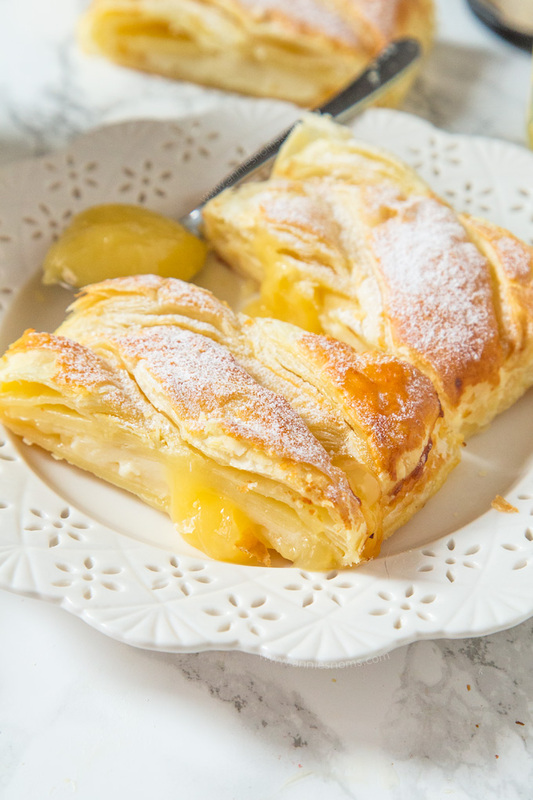 This Lemon Cream Cheese Puff Pastry Braid is one of those zesty, spring like desserts I’ve been whipping up recently. The days are getting longer and it’s been getting ever so slightly warmer each day. It’s still beautifully crisp in the mornings, but I have barely had to have the heating on this past week which is nice! I even had the door open for a couple of hours the other day and Poppy loved it as she could just go and sit in the garden in the sunshine as she pleased! 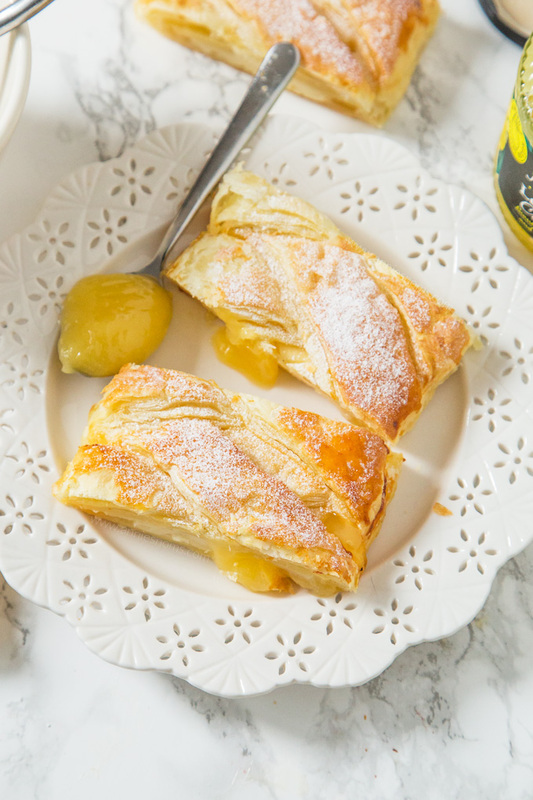 Sinking my teeth into a slice of this tart, but sweet creamy and flaky pastry braid made me feel like I had literally eaten a slice of sunshine! I simply adore lemon curd, it’s just delicious! I don’t know how something so simple can be so delicious, but it is. On toast, on brioche, on biscuits, on a spoon… on pastry. Lemon Curd is just epic! I also realised I hadn’t baked with it in ages, so that needed to change! 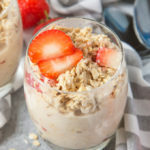 To add an extra element to this recipe, I added a layer of sweetened cream cheese too. I think the cream cheese adds the perfect juxtaposition to the tart lemon curd; it really cuts through the tartness and is the cherry on the top for this awesome, easy bake! This is the third puff pastry braid I’ve made and I love how quick and easy they are to make; this recipe can be on your table in under 30 minutes and the most difficult bit is cutting all the flaps of pastry to fold the filling up! I’ve said before and I’ll say again and again, puff pastry is the bees knees! Life is too short to make your own, so I always have a sheet to hand. And making puff pastry braids is one of my favourite things to do with it; I’ve previously made a Biscoff filled version and this Blackberry Pie Braid. I’m off to make more Spring desserts, so I hope you’ll enjoy this Lemon Cream Cheese braid! Preheat the oven to 200C/400F and line a large baking tray with grease proof paper/a silicone mat/Silpat. Place the puff pastry sheet onto your prepared pan. Score the pastry sheet into thirds lengthways. The centre one is for your filling, so leave this. On the outer two thirds of your pastry, slice off the corner diagonally at the top of the sheet to create the angle for your braids. Slice diagonally down one side of your pastry, following the initial angle you created, to create 3/4-1 inch thick braids. Repeat on the other side, using something straight to make sure your braids line up. When you get to the last strip, there will be a small triangle of pastry left between the middle section and where you cut your strips, cut this out and discard. Spoon the lemon curd along the centre of the middle of your pastry and then spread out with the back of your spoon being careful not to go over the edges and out of your middle third! 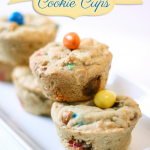 Place the cream cheese, sugar, vanilla and cornflour into a small bowl and beat until well combined and smooth. Spoon this mixture along the centre, on top of the lemon curd and gently spread it out. It doesn't matter if you don't entirely cover the lemon curd, just roughly spread if so there are no really high points that will affect your braiding! Take one strip from the left hand side and fold over the lemon curd filling, then repeat with the right hand side. Repeat all the way down until you have a neat braid. There will be a little piece of pastry poking out at the end (in the centre) fold this up and over the lemon curd to help stop leaking! Brush with the lightly beaten egg and then place in the oven for 17-22 minutes, until risen, golden and the filling is bubbling. Leave to cool for 30 minutes before slicing into 1 inch pieces and devouring! 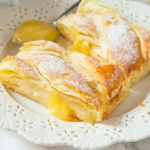 Lemon Cream Cheese Puff Pastry Braid is best served warm and will keep in an airtight container, in the fridge for 3 days. Microwave a slice for 30 seconds - 1 minute when ready to serve! Also tastes amazing with ice cream! *For photos of how to cut and fold the pastry, see this recipe! This looks like the perfect springtime bake. It’s so a pretty colour and I love your addition of the sweet cream cheese. So quick to make! I love the lemon flavouring, good choice! This is really pretty! I love lemon desserts – they are better than chocolate ones to me. And I’ve been loving puff pastry lately! oh my gosh. I love lemon desserts and this looks perfect! It’s so beautiful, I don’t wanna eat it! But If you insist…. This looks amazing! We are big fans of lemon flavored treats and this one looks super tasty. (Seriously- lemon AND cream cheese dessert? does it get any better?) 😉 Can’t wait to try it. Pinned! I am just making it, and it looks good even before it is cooked. Clever, as it really is so simple. I used good quality lime curd as I didn’t have any lemon. I am sure that any substituted flavoured curd would be nice (orange for example). I can now confirm that it is delicious! A nice dusting of icing sugar gives the finishing touch. Gorgeous straight out of the oven! 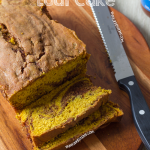 Your recipe was featured on Full Plate Thursday and we pinned it to our features board! Thanks so much for sharing your awesome recipe with us and hope you will come back soon! I le lemon pastry especially when it is flaky puff pastry…..the tingle that everything lemon lays on your tongue is so delicious! Lemon curd is an ingredient straight from heaven… I love lemon so much! Made 3 times, love it so much very easy. Mine leaked on one side.Next time I will make cuts a little shorter , when folding make sure bottom comes up to form a solid side. I’m having a hard time picturing what you mean when you describe how to braid this. Is there anyway you could post a video or some extra pictures? 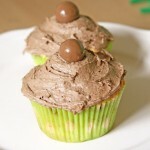 Hi, In the recipe notes section there’s a link to another recipe with step by step photos! Hope this helps!